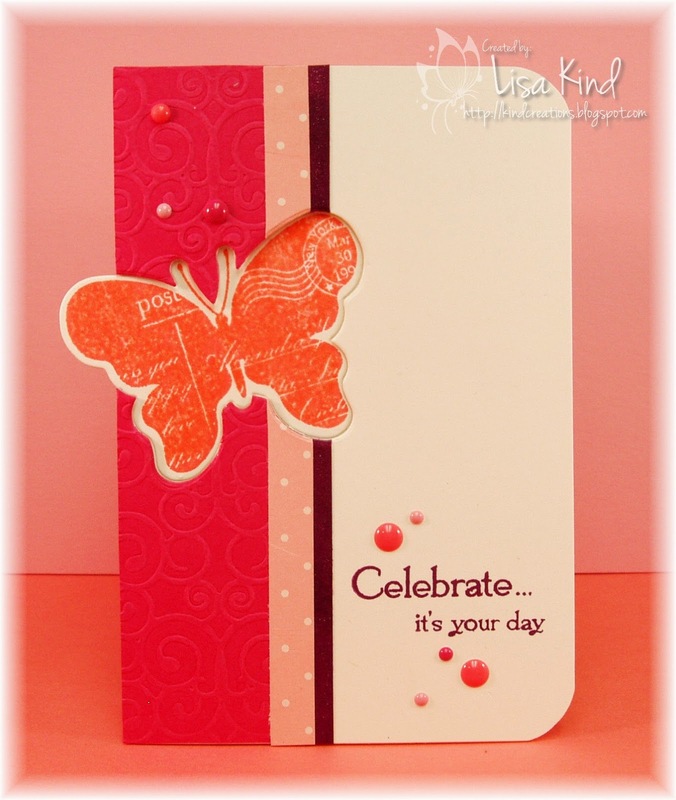 It's Theme Week over at the Time Out challenge blog, and this week's theme is CELEBRATIONS with a twist to add a butterfly (if you want!). 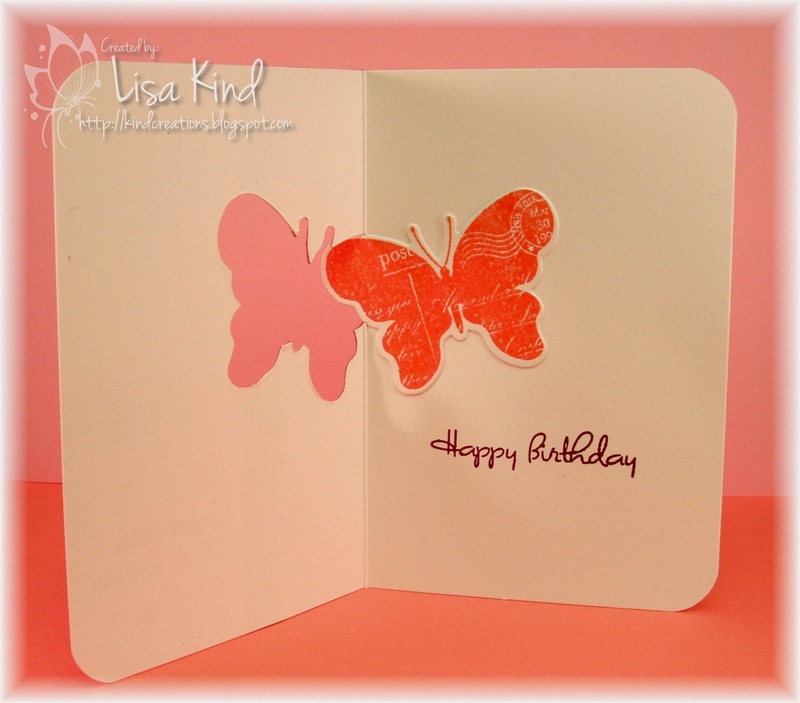 I chose to add the butterfly and make this a birthday celebration card. My card is a CASE of a Jennifer McGuire card. The Online Card Classes had a sale on all their classes last weekend, and the one and only one I did not take was the Stretch Your Stamps class. Since the Stretch Your Stamps 2 class is coming out next week, I thought I'd purchase the first one. 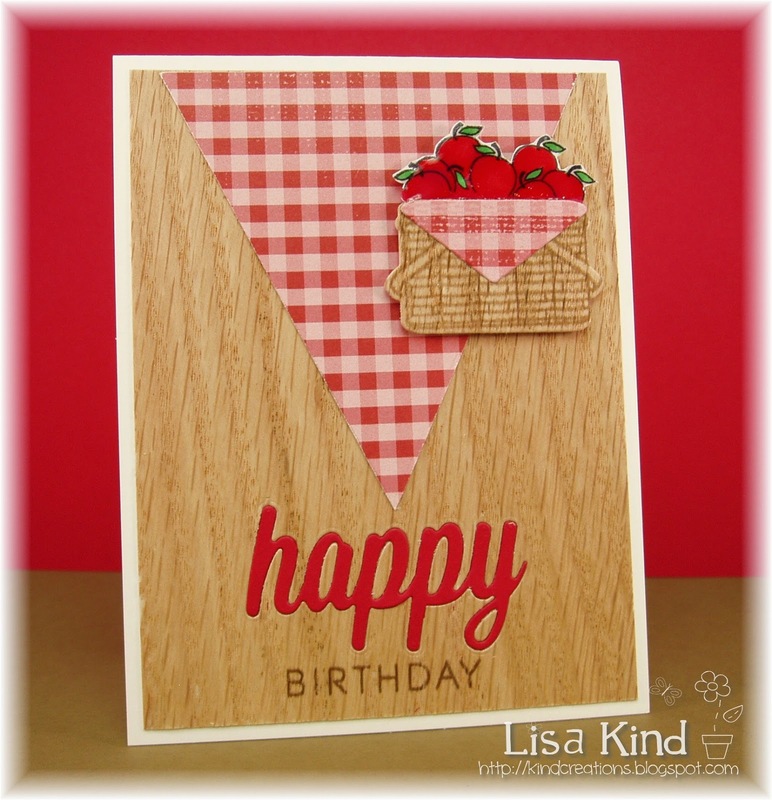 In that class, Jennifer does this cool technique that she calls Die Cut Card Edge. 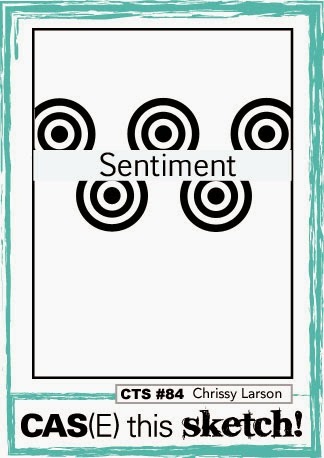 It's pretty simple and really packs a punch in the "different" category of cards! 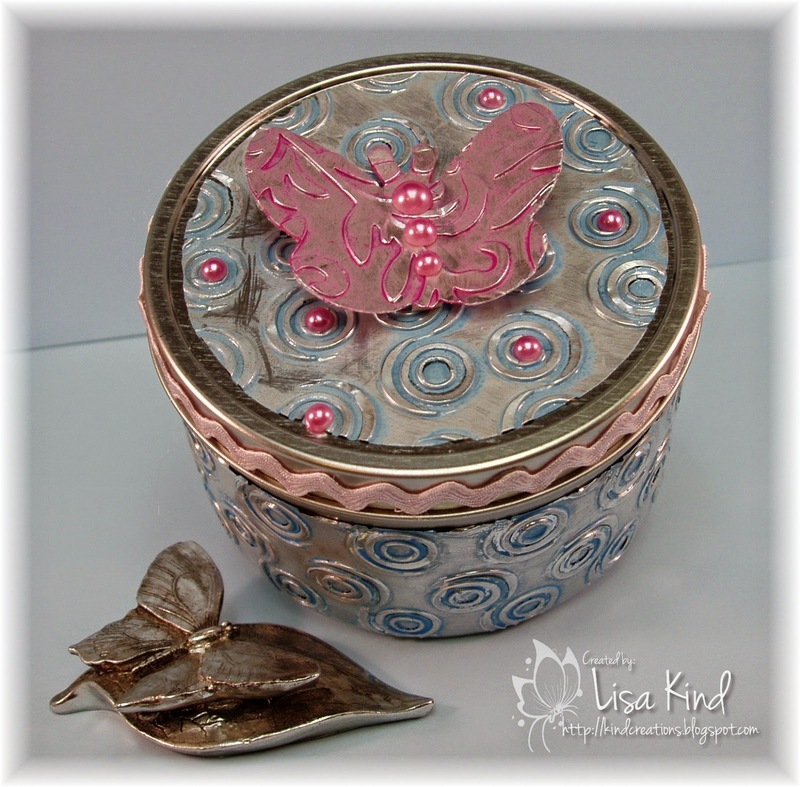 I used MFT's Blissful Butterflies stamps and die for this technique. I just love how the butterfly hangs off the edge. I cut the card down so it will fit into a normal envelope, so the card itself is a little slimmer. 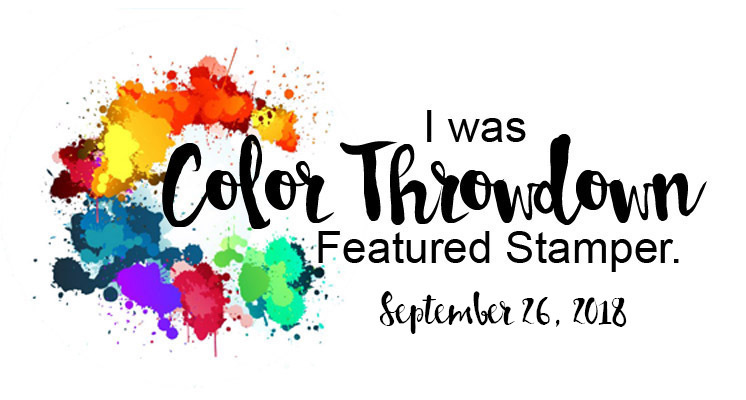 I got my color combo from the Colour Q challenge. I don't think I've ever played in their challenges. If I have, I don't remember, but that's not unusual! 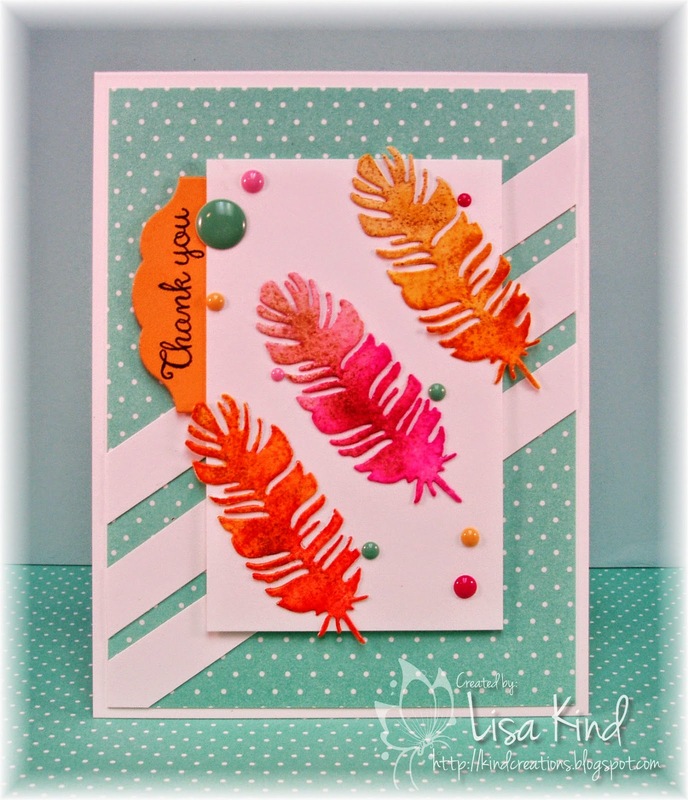 In place of the concord grape, I used grape juice ink from Hero Arts and cameo coral for the calypso coral. That dark strip on my card front was created by coloring a piece of white cardstock with the grape juice ink. We have a sponsor for the Time Out challenge this week. 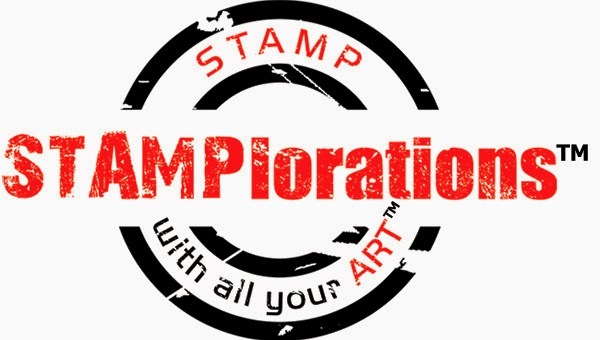 Our DT member, Shery, owns STAMPlorations and she is offering some great prizes! Thanks to Shery for the great prizes! So why don't you play along? You can see more of the DT creations on these blogs. Hi everyone! I'm playing in a newer challenge called Compendium of Curiosities 3. It's a very clever challenge in that the challenges are taken from techniques in Tim Holtz's newest book, Compendium of Curiosities 3. The team gives you the name of the technique and the page number on which you can find the directions to the technique. 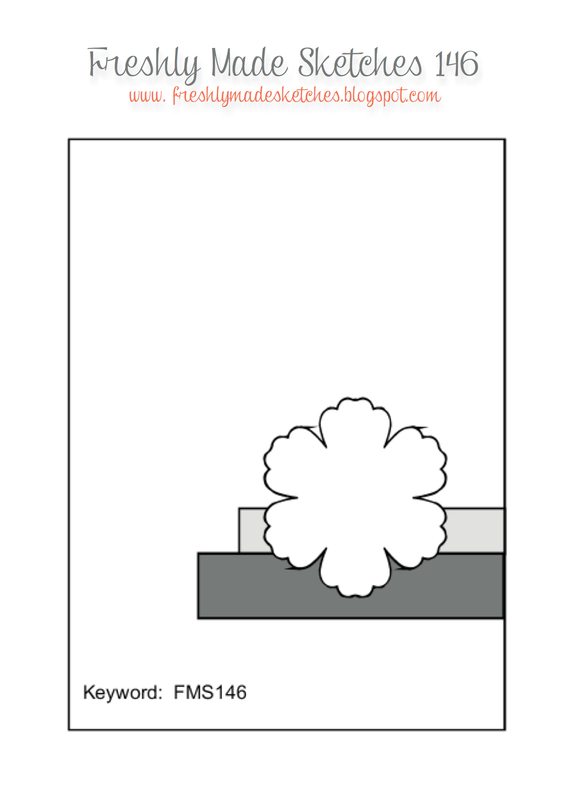 We are not allowed to give instructions on how to do the technique...the idea is that you have to purchase the book in order to find the technique. I love Tim's techniques, so I purchased the book in order to play along. This technique is called Painted Industrial and it's on page 46 of the book. Here's my take on the technique. Tim uses black soot distress paint, but I didn't have that one so I used salty ocean distress paint for the base of my tin. 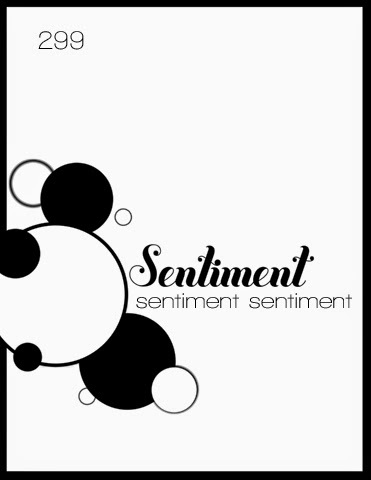 You have got to see the samples from the DT over on the Compendium of Curiosities 3 blog! They are absolutely amazing! 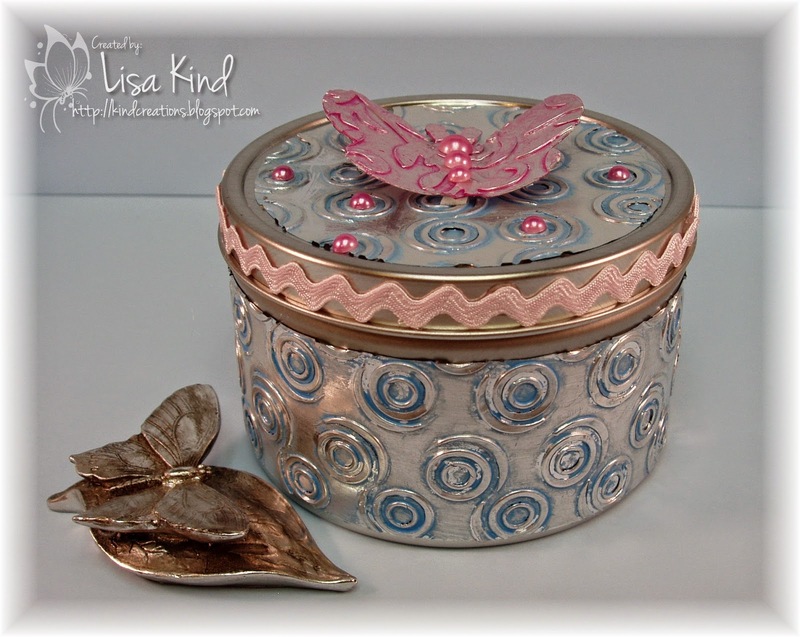 I'm a little shy about entering my little tin in the challenge! LOL! But I really wanted to do the challenge, so there you have it! Christmas Card Challenge #35 - Anything Goes! 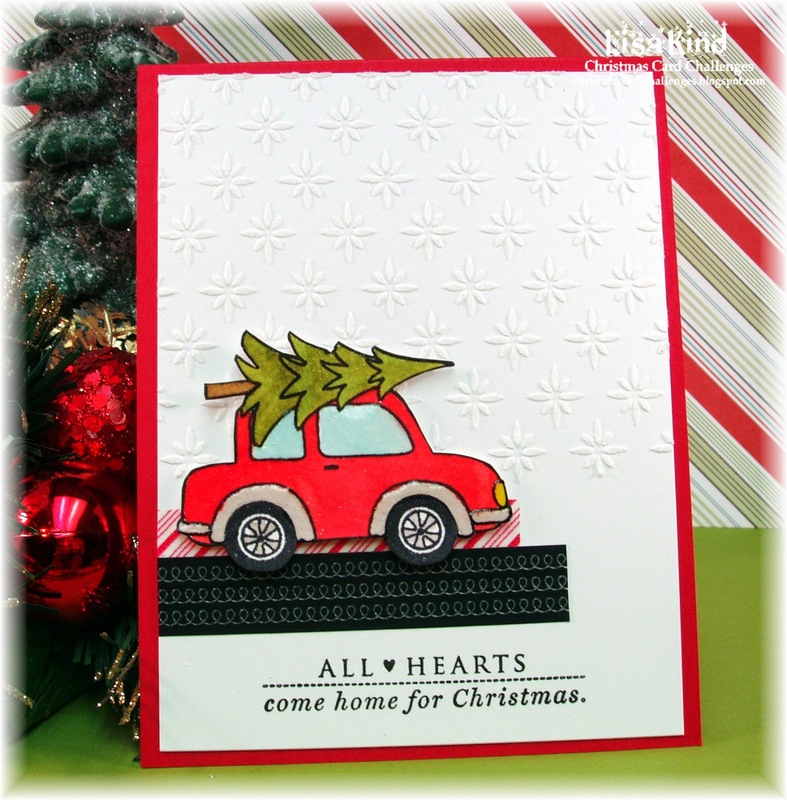 The challenge over at Christmas Card Challenges is an Anything Goes challenge! Woohoo! Time to put your thinking caps on and create whatever you choose (as long as it's holiday related, of course!). I saw this car stamp sitting on my table just waiting to be used. I don't know what it was doing there, but it wanted to be inked up! I stamped it on watercolor paper and used Distress inks to color the image. I added Glossy Accents to the windows and bumpers, then Wink of Stella shimmer to the tree and car. 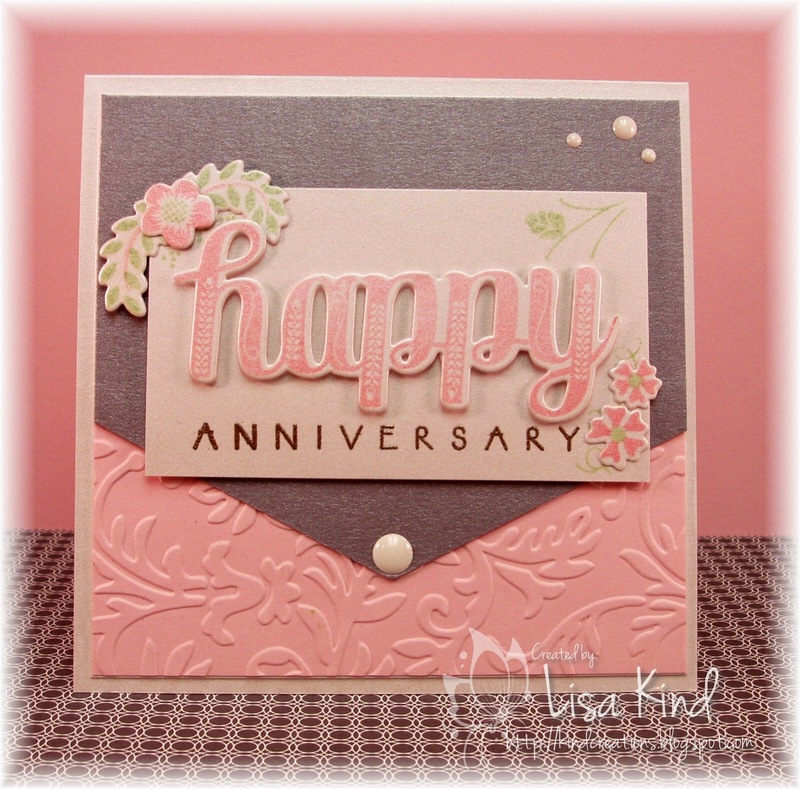 It was fussy cut out (no die for this older stamp!). I added the washi tape and sentiment (which I thought was perfect for this image) then used some embossing paste through this new stencil on the background. It sort of reminded me of snowflakes. 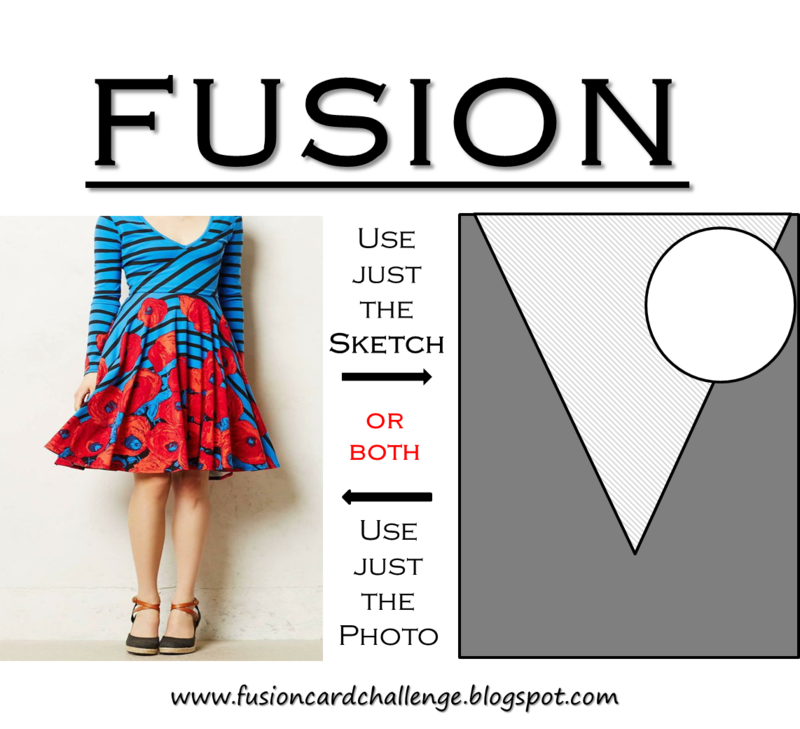 When dry, I added the image on dimensionals. I followed this week's Freshly Made Sketches but flipped it around because of the way the image was facing. The girls over at Christmas Card Challenge have some great inspiration for you! Take a look here. 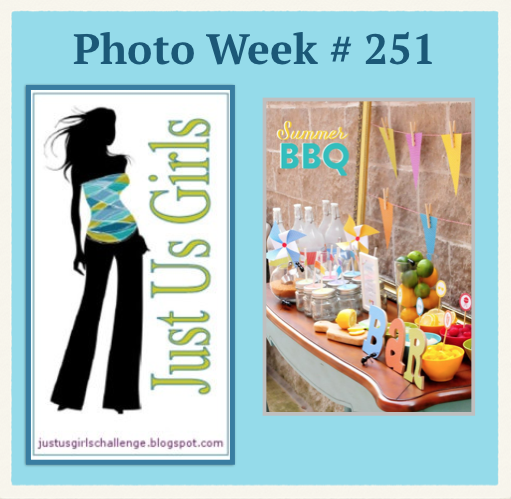 It's Photo Week at Just Us Girls and Sharyn chose a great summer picture for us to use as inspiration. Here's a close up of the photo. 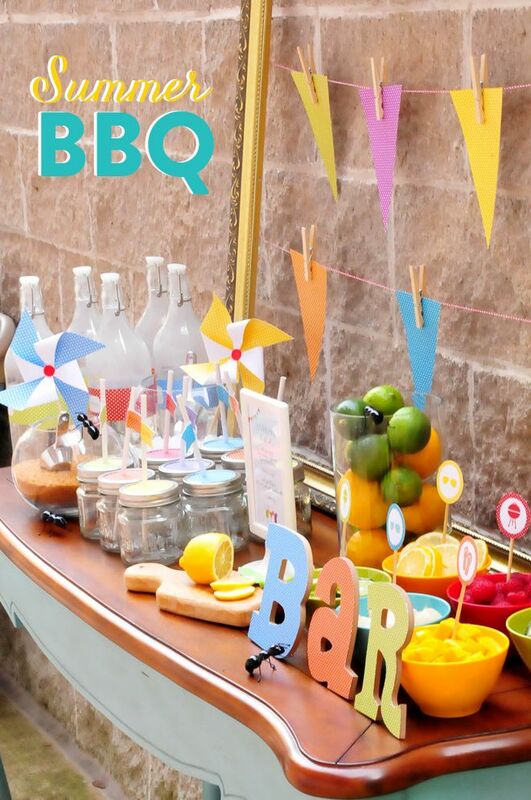 What a fun way to throw a BBQ! 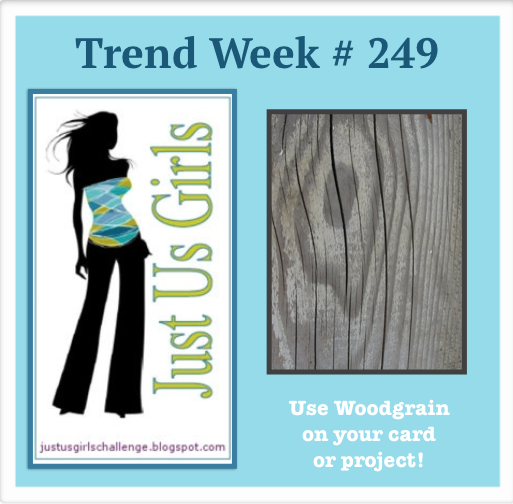 You can see much more inspiration from the DT gals and our guest designer on these blogs. Yesterday my hubby and I went to a 25th wedding anniversary for friends of his. He asked me to make a card for the occasion. No problem there! This is a terrible picture of this card. It's so pretty in person. Since it's a 25th anniversary, I wanted to incorporate some silver into the card and I just had to add the pink to soften it up. I hope they like this! I used this week's Deconstructed Sketch. Are you getting your Christmas cards done? If so, great! 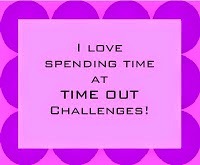 If not, why not join us over at the Christmas Card Challenge and get started? We have a great photo inspiration for you this week. Great inspiration, don't you think? 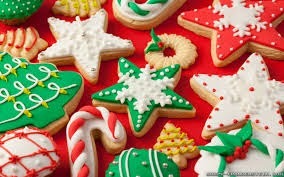 I love Christmas cookies, especially with anise. The bakery that made my favorite anise cookies closed recently and I'm crushed! There's another bakery that makes them, but they are not the same. Anyway, I'm hankering for one right now! My card this week focuses on those star cookies. At first, I colored some embossing paste and "painted" it on the kraft cardstock, but when it dried it wasn't looking so good. So plan B was to cut the stars (the smaller ones were created with a punch and the large one was stamped and hand cut...no die for it!) several times from kraft and then once in white, green, and red. I added some white liquid pearls to the red and green ones and then added some glitter over it while still wet. The white one has red stickles added to it. I then layered the snowflakes on top, as in the photo. 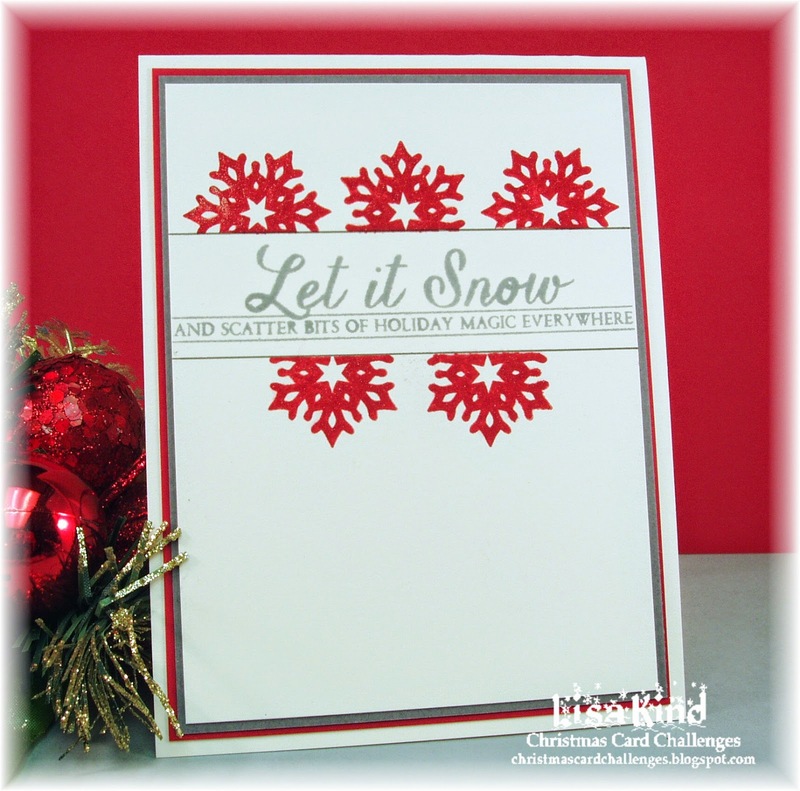 The small white snowflakes were added randomly and the sentiment stamped and embossed in white. 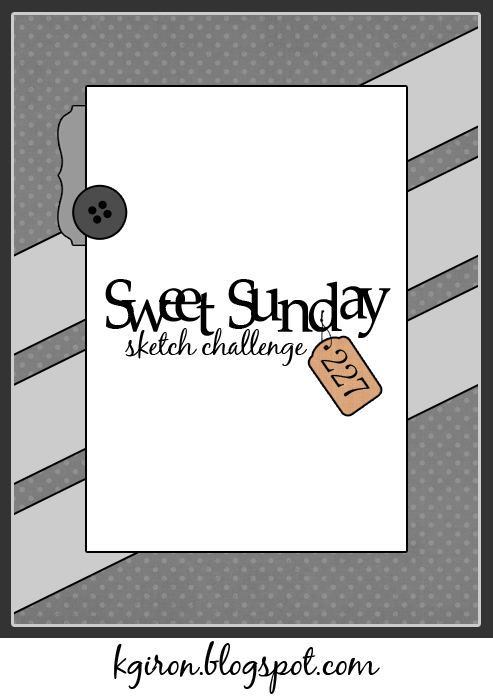 I used the Clean & Simple sketch for my layout inspiration. The CCC team has some great inspiration for you as well on these blogs. Hi all! 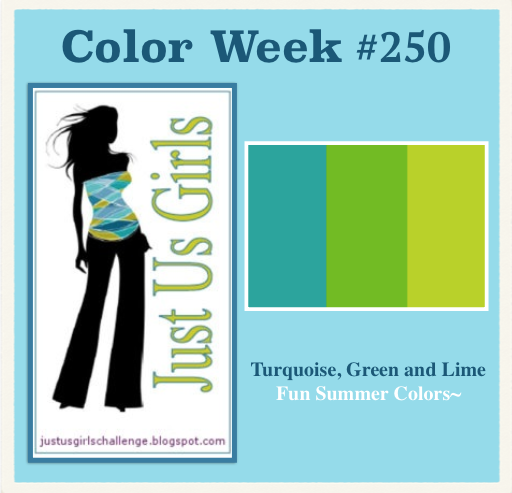 It's our 250th challenge at Just Us Girls! We've been doing this for almost 5 years! Wow! Maria Levine and I have been on the team since the beginning and﻿ we've had some amazing teammates and guest designers in those 250 challenges! 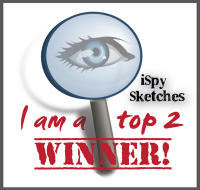 Our current team is fabulous and is keeping this challenge blog trending and moving forward. We hope you like our new line-up, which you can see below. 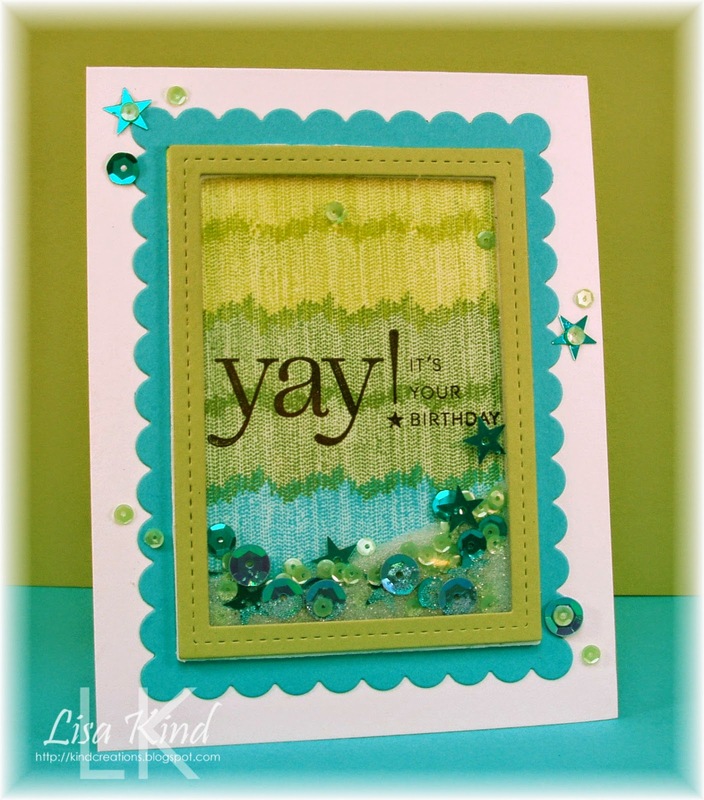 This week is Color Week and Vicki has chosen a great summery color combo. I recently purchased the Sprinkles and Shakers Make It Market kit from Tammy Herschberger who was selling hers (thanks Tammy!). I hemmed and hawed about buying it originally, and was sorry I didn't. Then I saw Tammy putting hers up for sale and I jumped on it! I love the dies in it! So I decided to make a shaker card with these colors. 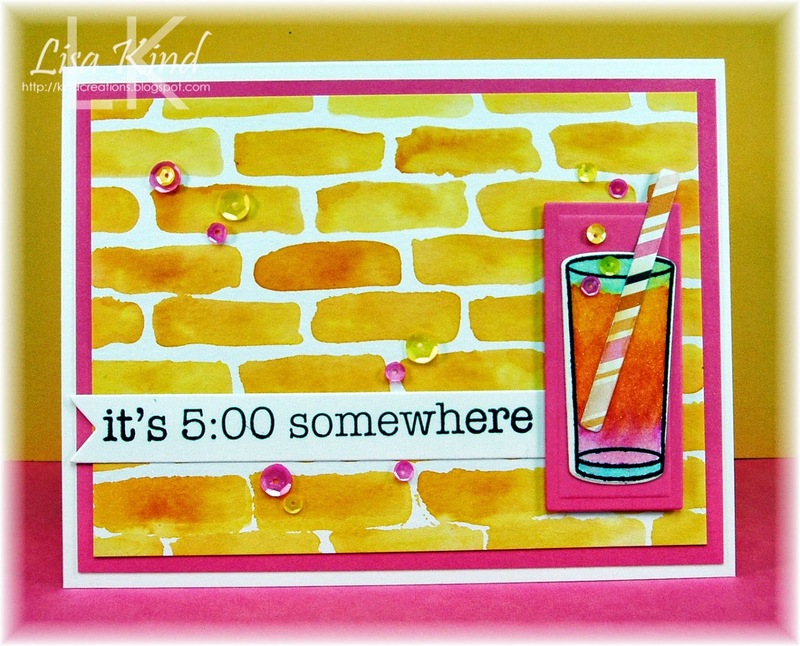 I started by stamping the three colors using the Ombre Builders stamp set. then I cut the frames, the clear cardstock, and the adhesive sheet. Then I started building the shaker part. Inside the shaker are sequins in turquoise and green and micro beads. I then added more sequins on the outside of the frame. I thought the sentiment was a fun one to put on the inside. In celebration of our 250th challenge, we are being sponsored by Dare 2B Artzy. 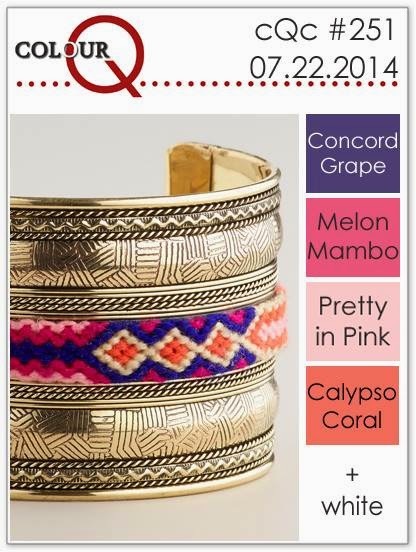 Our Chic of the Week will win their choice of stamp set of $14.99 or less! 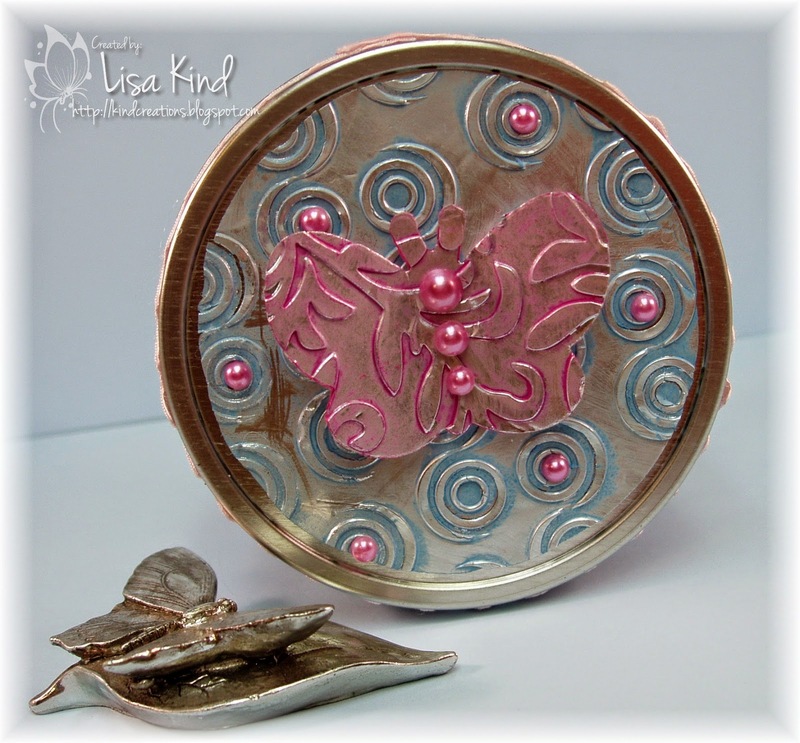 You can see more from our fabby DT and Guest Designer at these blogs. There's a new challenge on the block called Tag You're It! They are on to challenge #2 already (I missed the first one because I was on vacation). I love making tags. Don't know why, but they are just so fun to make! 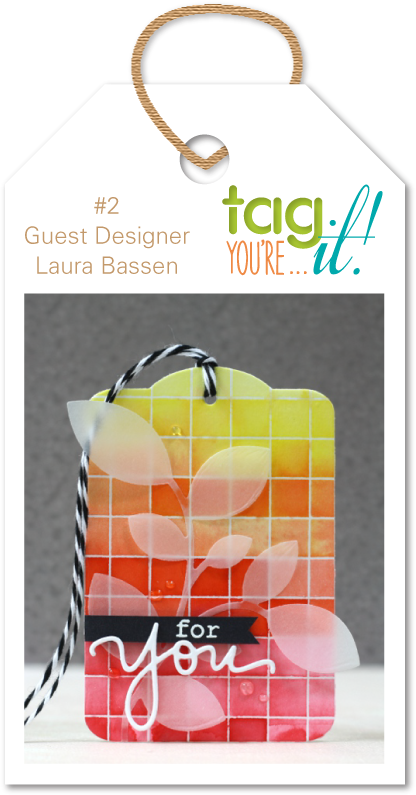 Laura Bassen is their guest for this challenge and I just loved her tag. The colors and grid grabbed my attention. I had a Hero Arts grid pattern stamp that I've had for a while, but never used. So I decided to dust the cobwebs off of it! 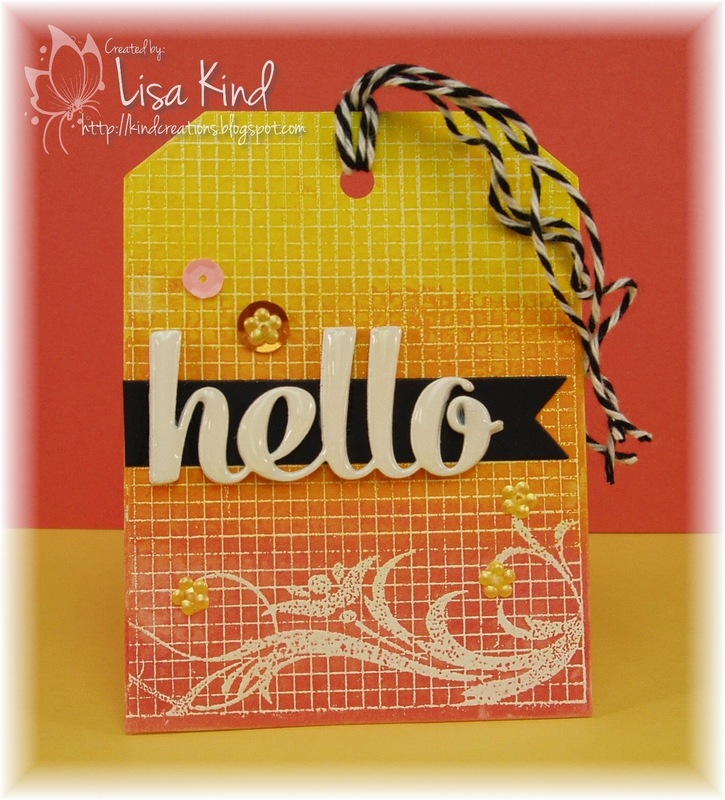 I started with die cutting a tag from distress watercolor paper then embossing it with the grid pattern stamp in white embossing powder. To color the tag, I used three gelatos in lemon, mango, and melon. I put some color down and blended them together with water and a paint brush. Love the look! The "hello" die was cut 5 times and stacked together. I shimmered it up with a Wink of Stella shimmer and glossy accents for more shine. I placed it on a black banner to ground it and added some sequins and baker's twine. Now I have to find a gift bag to put it on! Thanks for stopping by! Hey friends! There's a new Time Out Challenge and this time around it's our Home Sweet Home challenge. Here is the photo for your inspiration. There are so many elements you can take from this photo. I love those stripes on the wall and the aqua color. 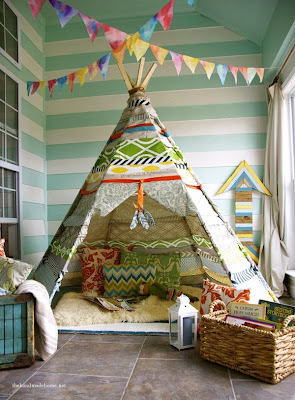 I also liked the watercolor look of the flags and those feather dangling from the teepee. That was my inspiration for this card. I watercolored the feathers and spritzed it with some brown ink. I also added some shimmer with a Wink of Stella shimmer brush. And I think I added too many enamel dots! I just love those things! I'm playing along with this week's Sweet Sunday Sketch challenge too. You can see more inspiration from the DT on these blogs. Gosh, I was ready to say "Happy Monday", then I realized it was Tuesday already! See what happens when you are on vacation and don't have to think of what day it is? LOL! Since I was sitting here waiting to pick up my mom from her hair appointment, I decided to stamp! I just got these Reverse Confetti stamps and dies in the mail yesterday and decided to work with them. I just thought they were so cute. I made it into a birthday card for my best friend Maria. Her birthday is later in the month. 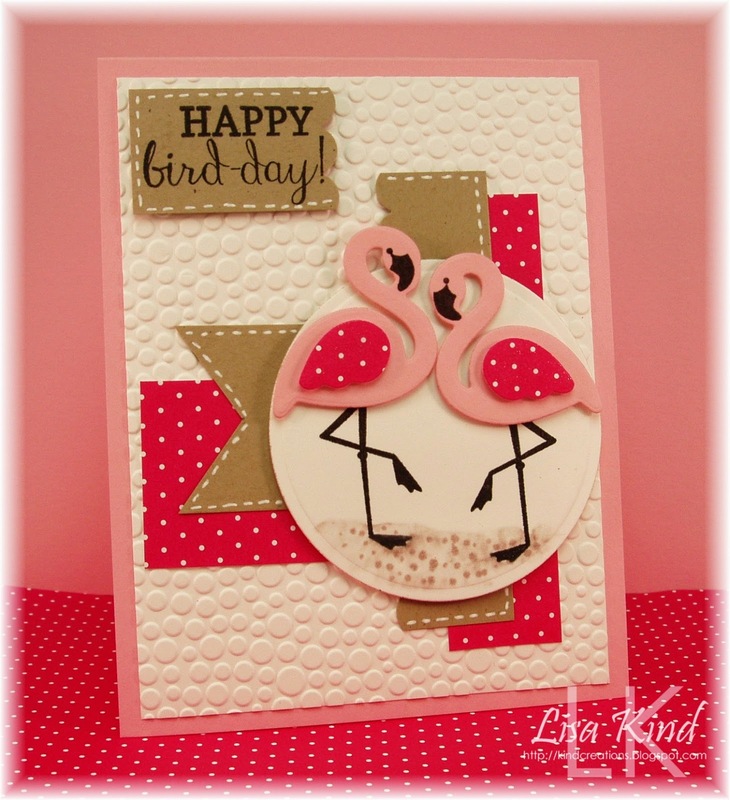 One of the first cards she made and sent to me (when she was stamping) was a flamingo card. I thought I'd make her one all these years later. 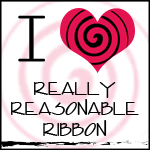 It's a pretty self-explanatory card. I did use some Wink of Stella shimmer on the wings of the birds. I just adore flamingoes! I used more layers than I have in a long time on this one. I followed the Deconstructed Sketch for this week. 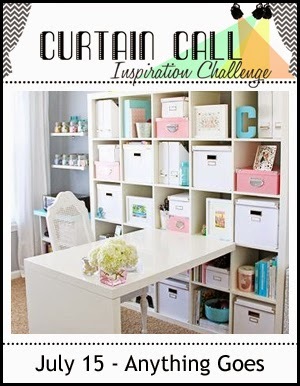 I'm also linking up to the Curtain Call challenge. Hope you are enjoying your summer! Thanks for stopping by! Happy Sunday all! 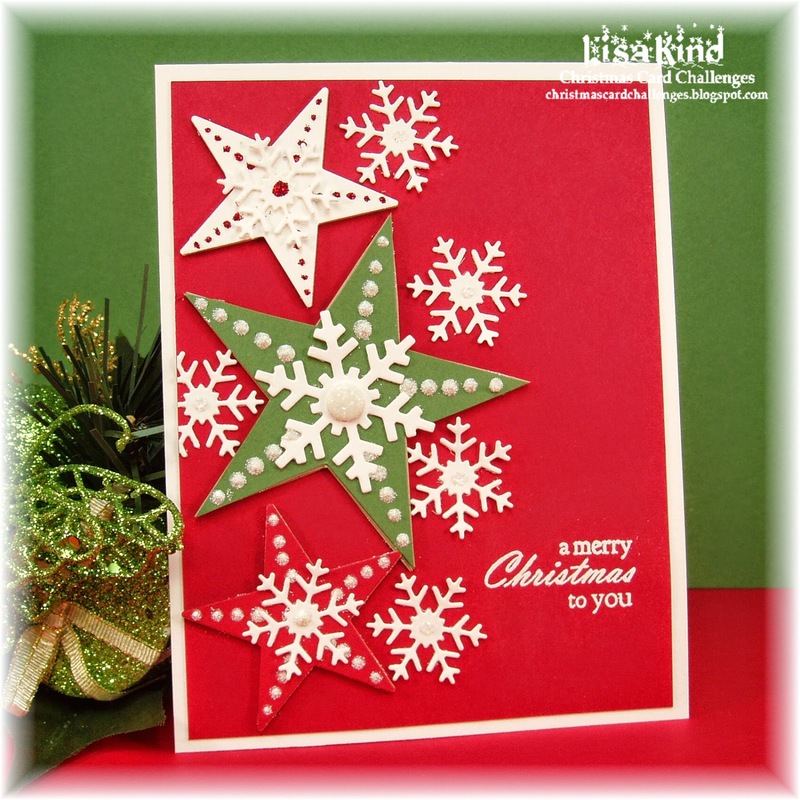 This week over at Christmas Card Challenge we have a color challenge. These are such lovely colors and translate well into a Christmas card. 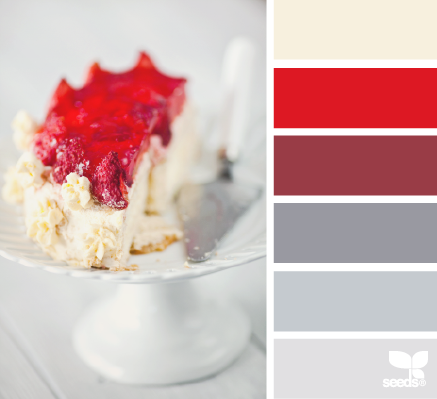 This is how these colors translated into a Christmas card for me. I stamped the snowflakes in red ink and the sentiment in smoky slate ink. The vintage cream cardstock was matted with gray and red paper. The snowflakes were shimmered up with a Wink of Stella shimmer brush. Very simple and easy card to create, however it took me at least five tries to get this done. I started with a poinsettia stamp that just wasn't stamping properly. Then I used painter's tape and then washi tape to mask off the middle, and it kept pulling the paper. Very frustrating! I used the sketch from CAS(E) this Sketch challenge. Hi everyone! I've not been posting much because I've been on vacation in Ireland! We had a great time. I'll post pictures later on next week. 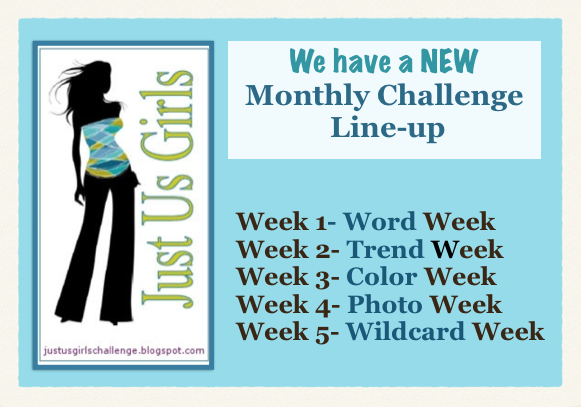 While I was gone, the Just us Girls team announced a change in the monthly line-up. You can see the changes on the graphic below. So this week is trend week and Cheryl is our hostess. She's chosen to have us use wood grain on our creations. I just purchased a pack of wood paper from JoAnn's a couple of weeks ago and it was perfect for this challenge! I looked through my variety of dies to see what would work with the wood paper and settled on this picnic basket. I die cut it from the wood paper and then stamped it with the coordinating stamp in brown ink. I also die cut the gingham paper for the napkin. The apples were stamped and colored with copics then I applied glossy accents to shine them up. I inlaid the word happy and stamped birthday under it in brown ink. I cut a triangle from the gingham paper and popped up the picnic basket. I used the sketch from the Fusion Challenge. 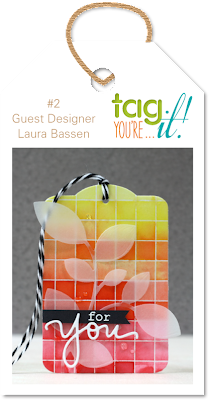 You can find more inspiration from the JUGs DT on these blogs as well as our guest. 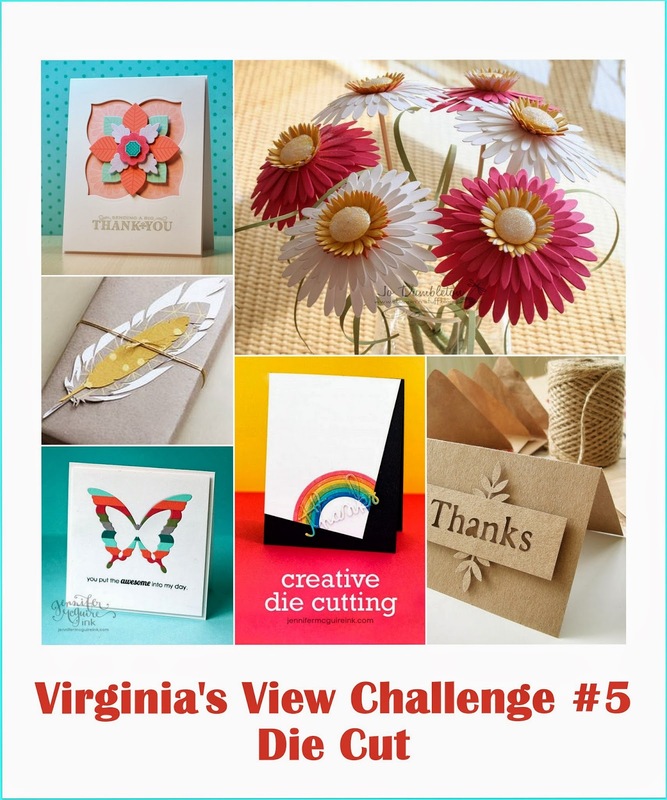 I'm also entering this in Virginia's View die cut challenge. Christmas Card Challenge #32 - Tags!